2001. Paperback. Very Good. Paperback shows signs of reading. Nothing Like It in the World gives the account of an unprecedented feat of engineering, vision, and courage. 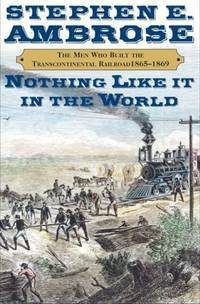 It is the story of the men who built the transcontinental railroad -- the investors who risked their businesses and money; the enlightened politicians who understood its importance; the engineers and surveyors who risked, and sometimes lost, their lives; and the Irish and Chinese immigrants, the defeated Confederate soldiers, and the other laborers who did the backbreaking and dangerous work on the tracks.The U.S. government pitted two companies -- the Union Pacific and the Central Pacific Railroads -- against each other in a race for funding, encouraging speed over caution. Locomotives, rails, and spikes were shipped from the East through Panama or around South America to the West or lugged across the country to the Plains. In Ambrose's hands, this enterprise, with its huge expenditure of brainpower, muscle, and sweat, comes vibrantly to life. 2000. Hardcover. Like New. 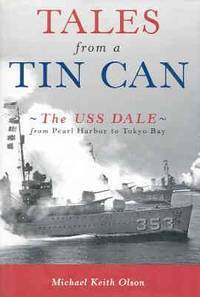 Minor wear on dust jacket. In this account of an unprecedented feat of engineering, vision, and courage, Stephen E. Ambrose offers a historical successor to his universally acclaimed Undaunted Courage, which recounted the explorations of the West by Lewis and Clark. Nothing Like It in the World is the story of the men who built the transcontinental railroad -- the investors who risked their businesses and money; the enlightened politicians who understood its importance; the engineers and surveyors who risked, and lost, their lives; and the Irish and Chinese immigrants, the defeated Confederate soldiers, and the other laborers who did the backbreaking and dangerous work on the tracks.The Union had won the Civil War and slavery had been abolished, but Abraham Lincoln, who was an early and constant champion of railroads, would not live to see the great achievement. 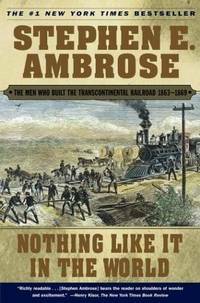 In Ambrose's hands, this enterprise, with its huge expenditure of brainpower, muscle, and sweat, comes to life.The U.S. government pitted two companies -- the Union Pacific and the Central Pacific Railroads -- against each other in a race for funding, encouraging speed over caution. Locomo-tives, rails, and spikes were shipped from the East through Panama or around South America to the West or lugged across the country to the Plains. This was the last great building project to be done mostly by hand: excavating dirt, cutting through ridges, filling gorges, blasting tunnels through mountains.At its peak, the workforce -- primarily Chinese on the Central Pacific, Irish on the Union Pacific -- approached the size of Civil War armies, with as many as fifteen thousand workers on each line. The Union Pacific was led by Thomas 'Doc' Durant, Oakes Ames, and Oliver Ames, with Grenville Dodge -- America's greatest railroad builder -- as chief engineer. The Central Pacific was led by California's 'Big Four': Leland Stanford, Collis Huntington, Charles Crocker, and Mark Hopkins. The surveyors, the men who picked the route, were latter-day Lewis and Clark types who led the way through the wilderness, living off buffalo, deer, elk, and antelope.In building a railroad, there is only one decisive spot -- the end of the track. Nothing like this great work had been seen in the world when the last spike, a golden one, was driven in at Promontory Summit, Utah, in 1869, as the Central Pacific and the Union Pacific tracks were joined.Ambrose writes with power and eloquence about the brave men -- the famous and the unheralded, ordinary men doing the extraordinary -- who accomplished the spectacular feat that made the continent into a nation.